Chocolate is a specialty in the gastronomy of Belgium. With 500 chocolatiers and 2000 chocolate boutiques in Belgium (around one for every 5 500 residents) in 2012, the Belgians consume around 8 kg of chocolates par person each year, a rate which is one of the highest in the world. Belgium produces 172 000 tonnes of chocolate each year and the Belgian quality is symbolic throughout the world. At the time when Belgium was part of the Spanish Netherlands, the port of Antwerp was already stocked with cocoa from the Spanish Empire. The first traces of cocoa in Belgium were found in Ghent in 1635 and at the time, cocoa was only appreciated as a luxury drink for the royal family and aristocrats. It is believed that in 1679, the mayor of Zurich, Henri Escher, after relishing his first cup of hot chocolate in Brussels, decided to export the recipe to Switzerland which gave birth to the Swiss chocolate, now a major competitor of the Belgian chocolate. In 1857, Jean Neuhaus opened a pharmacy in Brussels with the idea to wrap his medication with a layer of chocolate to hide the bitter taste. 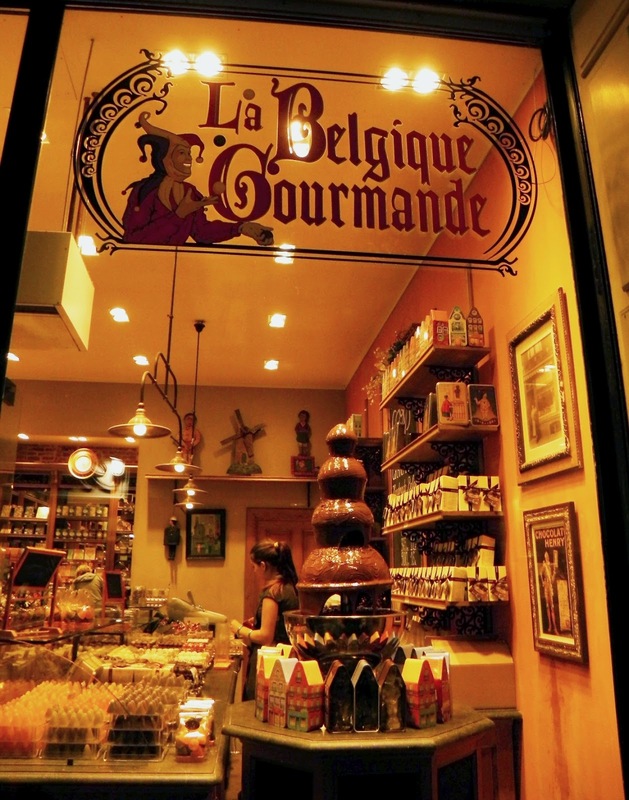 Thus the first Belgian chocolatier was born. Several production centers grew throughout the country and in 1831 Adolphe Meurisse opened the first chocolate factory in Antwerp and Antoine Jacques sold the first chocolate bar. Pralines are by far the most famous of the the Belgian chocolates and apart from chocolates Belgium is also the proud inventor of Speculoos. 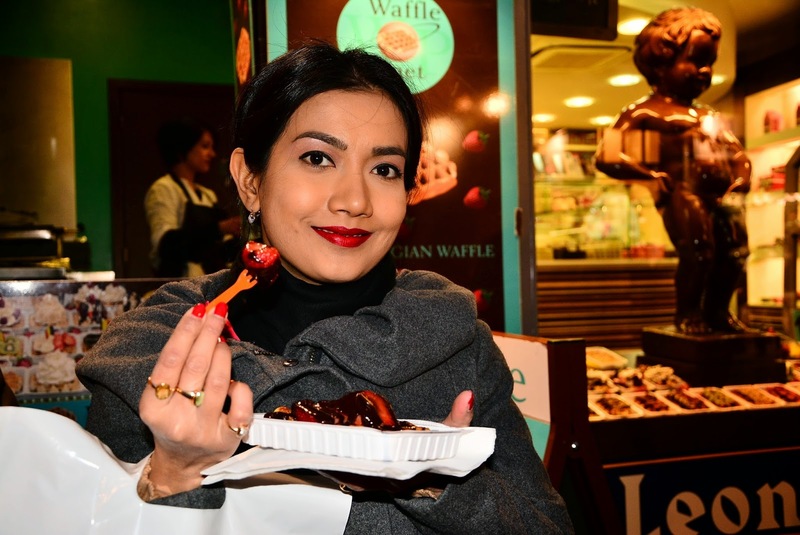 The Brussels waffle dipped in chocolate is another delight which cannot be missed when one is in the city. Being a chocolate lover my expectation was quite high. It is however humanly impossible to try out all the 500 chocolatiers of Belgium. I tried some of the more famous and well known chocolate makers and here I would list them out giving ranks accordingly and their specialties and what I enjoyed or disliked about them. 7. Côte d’Or : "In 1883, a Belgian chocolatier journeyed to Africa’s Gold Coast in search of the finest cocoa for a new kind of chocolate. In the equatorial sunshine of present-day Ghana (French Côte d’Or) , he found hardy, flavorful cocoa beans that were brought to life as Cote d’Or chocolate through patience, craftsmanship and unwavering standards of quality. The African elephant on the Côte d’Or label quickly became Belgium’s recognized symbol of fine chocolate." This is what we found on a marketing site of the brand. One cannot deny the rich history of the brand but apart from the elephant on the logo, anything hardly lives up to its heritage. Côte d'Or was purchased by Jacobs Suchard in 1987 and in turn was purchased by Kraft General Foods in 1990. Well there you have it. An international brand, found in 40 countries over 5 continents but for us, we feel it is nothing more than a commercial chocolate brand found in every supermarket shelf. It can give the feel of good chocolate but never the real quality and taste of what Belgian chocolate represents. One can find some well decorated boutiques around Brussels but the chocolates are hardly different from what one may find in the supermarket shelves of those 40 countries in 5 continents. 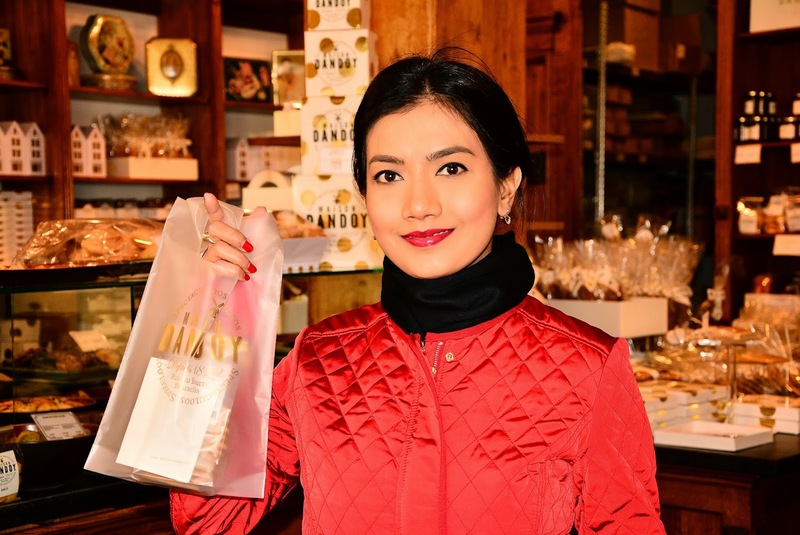 Belgians consume 600 million Côte d'Or products a year. Every day, the Côte d'Or factory near Brussels used to produce 1.3 million mignonnettes (small chocolate bars) and 2 million Chokotoffs (chocolate bonbons). However the mignonnettes are now shipped from the factories in Poland which itself shows the international extent of the brand and its representation of commercial chocolate but hardly the luxury of Belgian chocolates. 6. Godiva : The name Godiva comes from a legend of British Lady Godiva, the wife of Lord Leofric who was a powerful but unsympathetic ruler in the 11th century. He had once promised to ease the heavy taxation of his subjects if Lady Godiva rode naked through the streets. Lady Godiva, a lady of great generosity fulfilled the ordeal of riding a horse naked through the city which finally caused the relaxation of the burden of taxes for her fellow citizens. "Centuries later in 1926, Godiva founder and master chocolatier Joseph Draps created a new line of Belgian chocolates with extraordinary richness, premium quality, and iconic style. He sought a name for his company that embodied timeless values balanced with modern boldness – much like our lady of legend." Godiva may have had such timeless balances of taste but its quality is now only a legend. I did not find the chocolates at Godiva to be exclusive or exquisite. 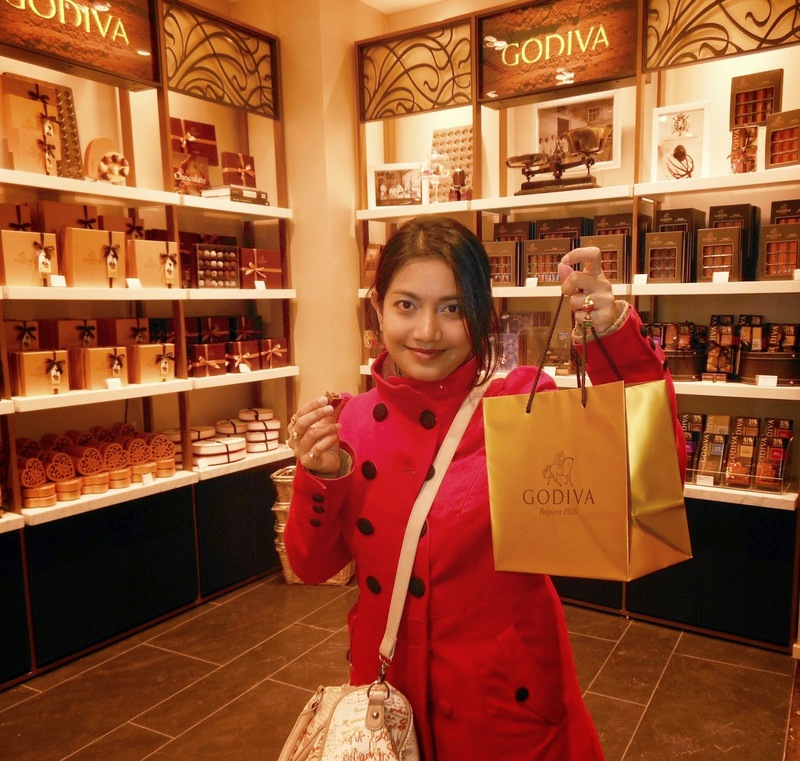 I did try the chocolates at Godiva on all the three trips to Brussels and soon realized that the pralines found here are impressive but are no match for some other chocolatiers ranked much higher in this list. 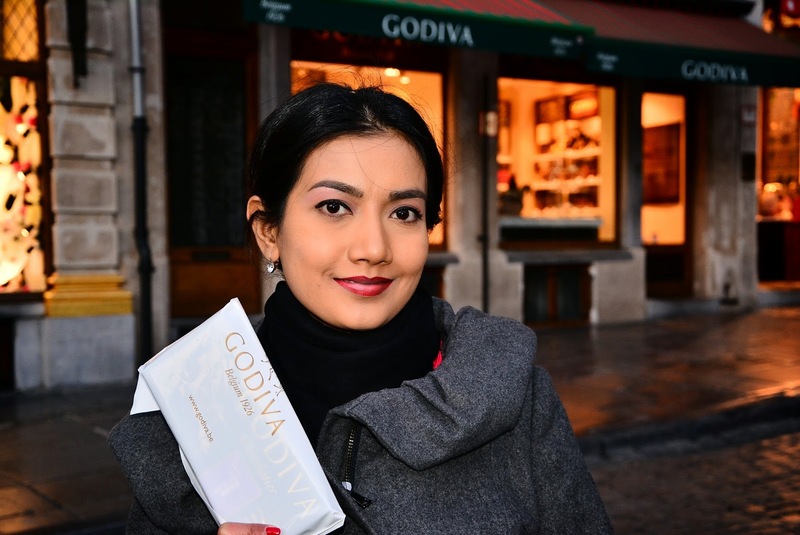 Godiva was purchased by the Turkish Yıldız Holding, owner of the Ülker Group, in 2007 and what I have heard is that the quality of Godiva has degraded ever since and is not as good as what it was 10 years ago. In fact for me, I did not find much difference between the pralines at Godiva and other industrial chocolates found on supermarket shelves, however for the former I had to pay some double the amount in a well decorated boutique on the Grand Place in Brussels. However at these boutiques in Brussels one can find strawberries, dipped in hot chocolate and then dried at around €6 which is another Belgian specialty and a delight. 5. 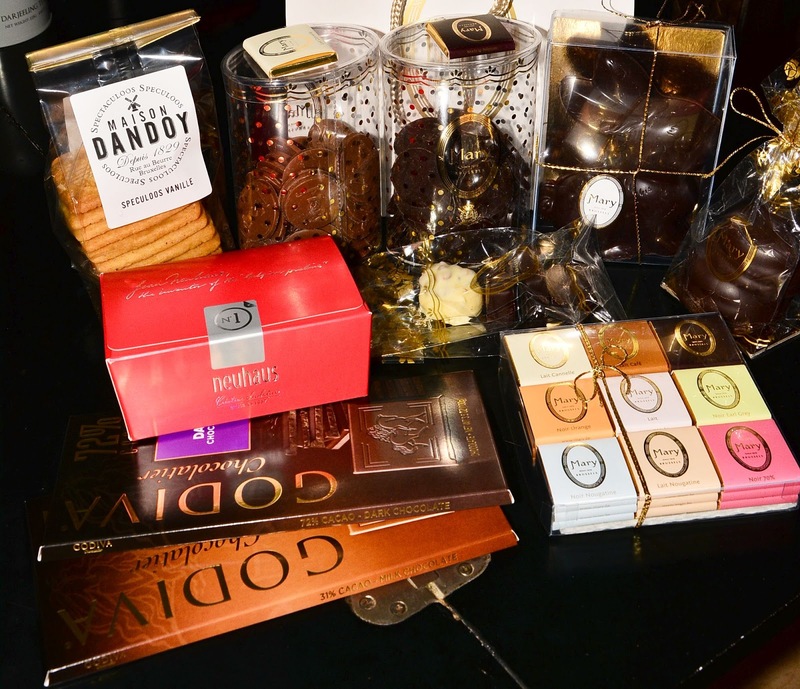 La Coquille D'Or : Brussels as mentioned above is a land of chocolates and there are new chocolatiers coming up on to the scene from time to time. Some are good while others are just below the average. La Coquille D'Or is one such new chocolatier which I did not spot on our last trips to Brussels. But this third time, just around the south eastern corner of the Grand Place on Rue de la Colline I found this little shop on the very site where a Leonidas boutique was situated. To my amazement, here I found the best strawberries dipped in chocolate and I thus cannot avoid placing it on my list ranked between Godiva and Leonidas. To be honest we do not know much about the brand apart from the fact that it surely has the potential to become a major player among the chocolatier giants around it. The best thing about the strawberries is that the chocolate is not dried and thus one can enjoy the fruit with hot chocolate dipping all around it and that too at a price (€3) almost half of that at Godiva. The waffles here were however not that good but the quality of the chocolate made up for the little toughness in the waffles. 4. Leonidas : An ambitious young Greek, Leonidas Kestekides travelled to USA at the age of 18 to learn the confectioner trade in the 1890s. In 1910 at the Brussels World's Fair he won the bronze medal for his confectionery products. It was there that he fell in love with a Belgian lady Joanna Teerlinck and married her in 1912, opened a tea room in Ghent in 1913 and stayed in Belgium for the rest of his life. This enterprise that started out of love and excellent know how of the confectionery trade, would soon become one of the highest producing, widespread chocolate companies in the world and would bear the name of its founder Leonidas and the symbol depicting his namesake, the Spartan hero-king. The icing on the 100 year existence of the brand came in 2013 when Leonidas had the privilege of featuring on the list of Official Suppliers to the Court of King Philippe of Belgium. 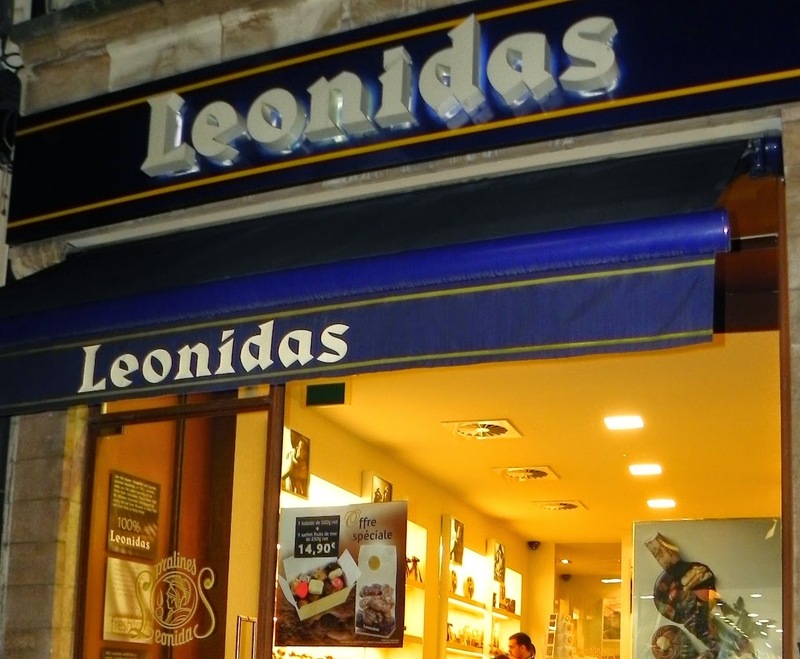 Leonidas surely has excellent quality and at affordable prices. 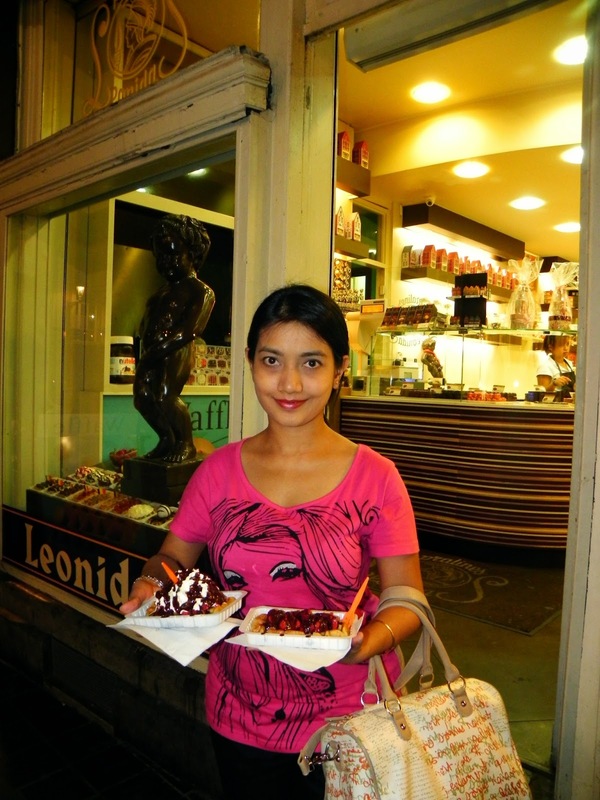 I tried the waffles at the Leonidas outlet on the Grand Place of Brussels on two occasions separated by two years and I found them similarly delectable on both the occasions. The waffles are perfect, not too tough and not too soft and you have a number of varieties to choose from for the toppings. I also tried some chocolates here in Brussels but the quality is however the same as the ones you find in Leonidas outlets all over the world (I tried in Paris and in the Netherlands). For me Leonidas must be rated as the best commercial chocolate brand and the price is quite reasonable for the quality they serve. However since the chocolates are available in most large cities of the world, I would recommend to try the waffles at Leonidas while visiting Brussels but as far as the chocolates are concerned I would prefer picking up some luxury chocolate makers that are solely found in Belgium as souvenirs for the trip to Belgium. 3. Dandoy: In 1829 Jean-Baptiste Dandoy opened a biscuterie in the heart of Brussels bearing his name. This would become one of the most popular and loved makers of biscuits in Brussels. Yes they are not known for chocolate but we could not afford to miss them out on this list. 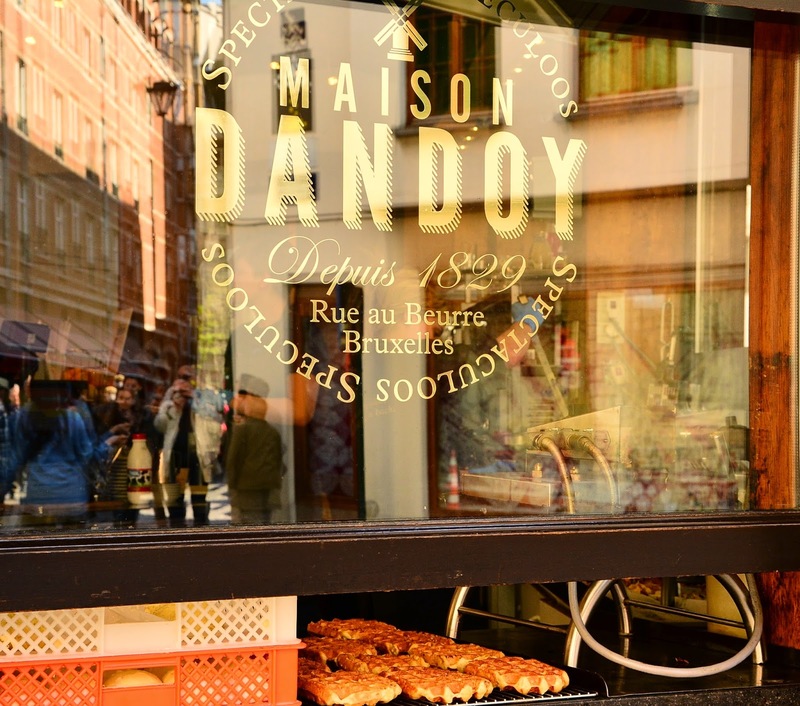 Maison Dandoy located in the lane between the Grand Place and the Bourse is known for certain belgium specialities such as almond bread, different varieties of biscuits, Pain d'epices (ginger bread) and speculoos. Speculoos are biscuits flavored with Spices such as cinnamon, nutmeg, cloves, ginger, cardamom and white pepper. It is believed to be created in a Belgian town and is popular in Belgian, Dutch and German culture. Owing to the speculoos spread also originating from Belgium the flavor is now known all over the world by different names such as Speculla, Cookie Butter, Biscoff Spread or Speculoospasta. I will not be mistaken to say that the best Speculoos in Belgium is found at Maison Dandoy. If you want chocolate they have also speculoos and other biscuits flavored with chocolate. All the products here are made with the traditional recipes and some products like the speculoos and ginger bread uses the original 180+ year old recipe. With only 7 outlets in Belgium and one single outlet in Tokyo, a visit to Brussels is incomplete without trying out the sweet delicacies at Maison Dandoy. 2. 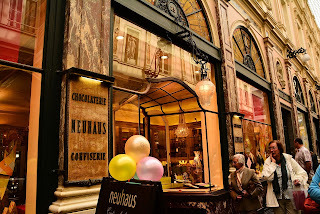 Neuhaus: This is where the history of Belgian chocolataires took form when Jean Neuhaus coated bitter medicines with sweet chocolates in his Brussels pharmacy in 1857. It was his grandson Jean Neuhaus Jr. who replaced the medicines with fresh cream and thus chocolate coated cream was born which he named the "Pralines". 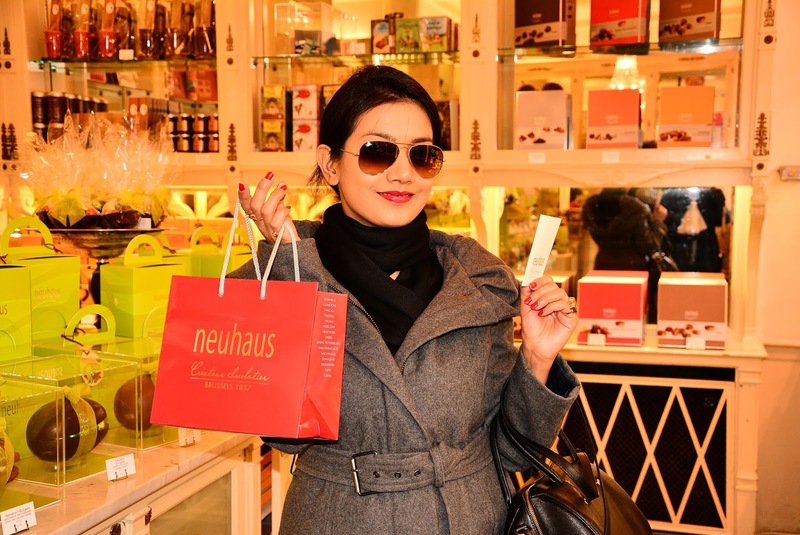 Ever since then the brand Neuhaus has grown and can now be find in more than 1000 sales boutiques in around 50 countries. Each Neuhaus speciality has a rich aristocratic history behind it. For example, Neuhaus introduced the 'Caprice' and 'Tentation' during the World Exhibition in Brussels in 1958 and in 1959 and 1960, to celebrate the weddings of Prince Albert to Paola and King Baudouin to Fabiola, Neuhaus created 4 new chocolates named after the royal family: 'Baudouin', 'Fabiola', 'Albert' and 'Paola'. All of these remain the Neuhaus icons even today. Neuhaus has also evolved to be the market leader in the luxury chocolate sector in Belgium and is one of the few chocolate companies still manufacturing in Belgium. 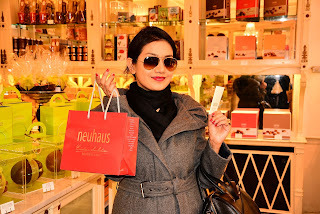 I visited the Neuhaus outlet at the famous Galeries Royales Saint-Hubert (Galerie de la Reine), the same location where Jean Neuhaus started his pharmacy and where the pralines were invented. For me the main attraction at Neuhaus this time around were cerries dipped in cherry liquor and coated with chocolate. It was a delight to nibble through the tough chocolaty crust and let the cherry and liquor infuse in the palate. Thus for me, the silver medal for the best chocolataires goes to the oldest chocolataire of Brussels, Neuhaus. 1. Mary: In 1919 Mary Delluc opened her first boutique on Rue Royale which connects the King’s Palace in Laeken to the one in Brussels. The choice of the location was done to attract the attraction of the King and the other nobles and bourgeois that passed along the walk close to the Royal palace. And it worked; Mary’s boutique became an immediate success. At the same time Mary noted each guest’s personal preference and then in the basement below the shop she conducted her experiments with the tastes and recreated luxury chocolates with respect to the different preferences, while at the same time sticking to the basic traditional methods of chocolate making. Thus the fame of handmade chocolates filled with delicious pralines, whose secret was closely guarded by Mary spread across Brussels. 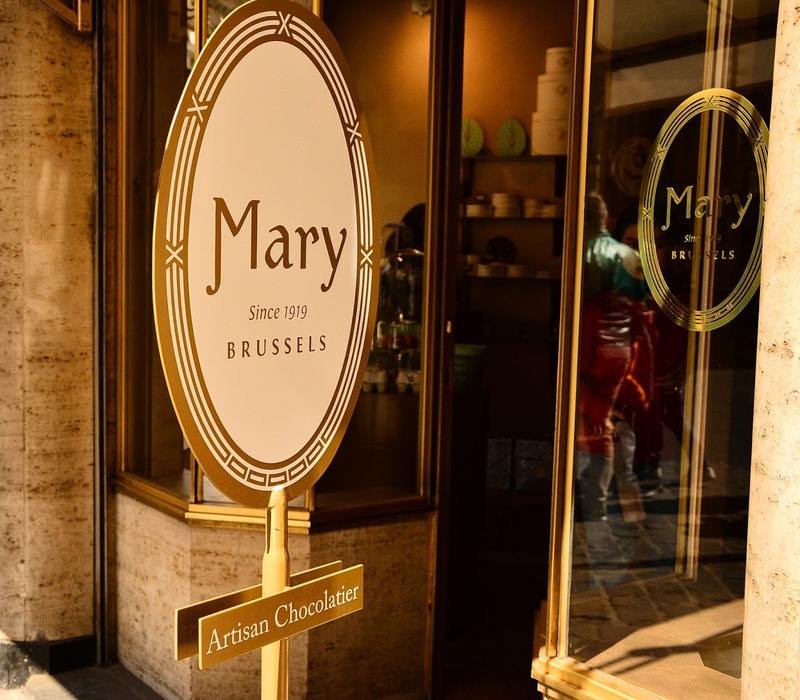 In 1947, Mary received the honorable Certified Royal Warrant Holder of Belgium which made Mary Chocolatier the official supplier of chocolates to the Royal family. The title has been renewed on two occasions: in 1990, by King Baudouin I, and in 1994, by King Albert II. The story of Mary Delluc for me resembled that of the character played by Juliette Binoche in the film Le Chocolat, in the sense that they both created magic with chocolates. Till date Mary chocolatier has lived up to the standards set by Mary herself. The pralines are handmade, and probably it is possible for everyone to find his/her favorite flavor and taste among the different range of fillings proposed by the chocolatier. Apart from pralines, one can also find fresh creams, ganache and liquor filled chocolates, caramels, truffles and marzipans. I visited the Mary’s boutique on Rue du Lombard which is located between the Grand Place and the iconic Manneken-Pis. And just like the King in his times, just like Johnny Depp in Le Chocolat and just like any chocolate love would do for perfect delectable chocolates, I was instantly mesmerized by Mary and her magic. Mary chocolatier just has ten boutiques in Belgium and only one in Ohio, USA. This is to maintain the traditional and artisanal quality of its chocolates in avoiding vehemently the commercialization of the brand. 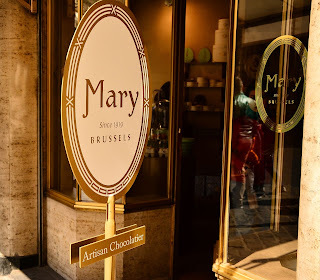 And this is the very reason why Mary features on the top of my list and why on a chocolaty trip to Brussels, Mary’s chocolate should never be missed. 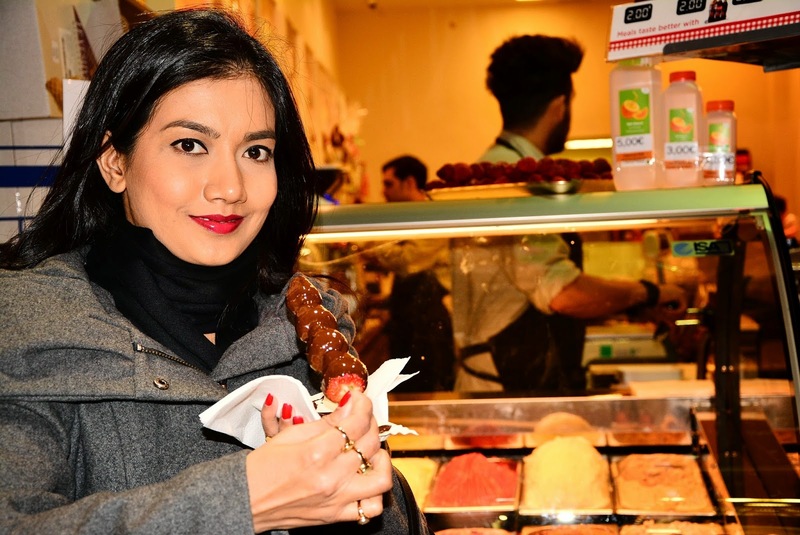 Hey, Such a great information shared by you related to 7 best Belgian Chocolatiers . I am completely agree with your opening that travel to belgium ….. Thanks..! OMG Chocolates, I love chocolate. 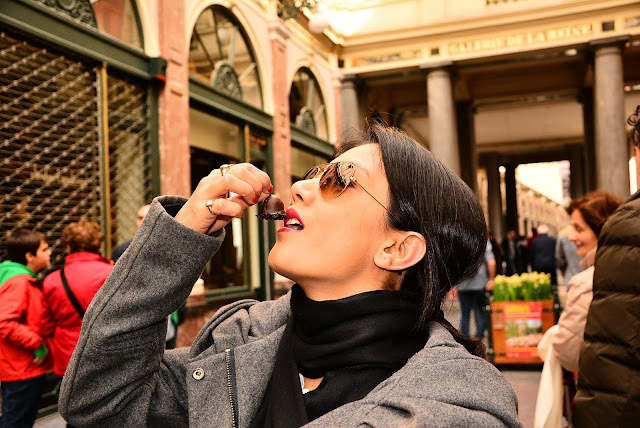 Thanks for sharing such an amazing post regarding Belgium Chocolate. I really appreciate the way you & Belgium Visa explain stuff. Thank you John. I am glad you liked my post.